Welcome to the Pounds and Pinfolds Register and Website. Helping to record and explore the history of these disappearing features of our town and country landscape. "A Pound or Pinfold is a structure built to confine stray stock or any animal found grazing on land for which their owner did not have permission. Once confined a Pinder, usually appointed by the Manor Court, was responsible for the care of the animals until the owner had paid the fine imposed by the court". Ask most people about what they know about Pounds and Pinfolds and they will shake their heads and look blank. Many have not even noticed the small round or rectangular building at the edge of their village and if they have, they do not give it a second thought. This lack of awareness is why many pounds and pinfolds have disappeared from the landscape or remain only as piles of stones. Hopefully I can increase public knowledge and encourage preservation of pounds and pinfolds. This research, carried out to satisfy my curious mind, has led me to many of the more remote villages and smaller towns in Cumbria and almost every county in England. In doing so I am grateful to many people who have helped me identify the locations and kindly given me access to their property to photograph and examine the pinfold. My thanks also go to friends Stuart Harling and John Wilkin of the Field Broughton Local Historical Society, known locally and unkindly by our other halves as the Field Broughton Hysterical Society, for their help and encouragement in this Pounds and Pinfolds project. Will it never end! 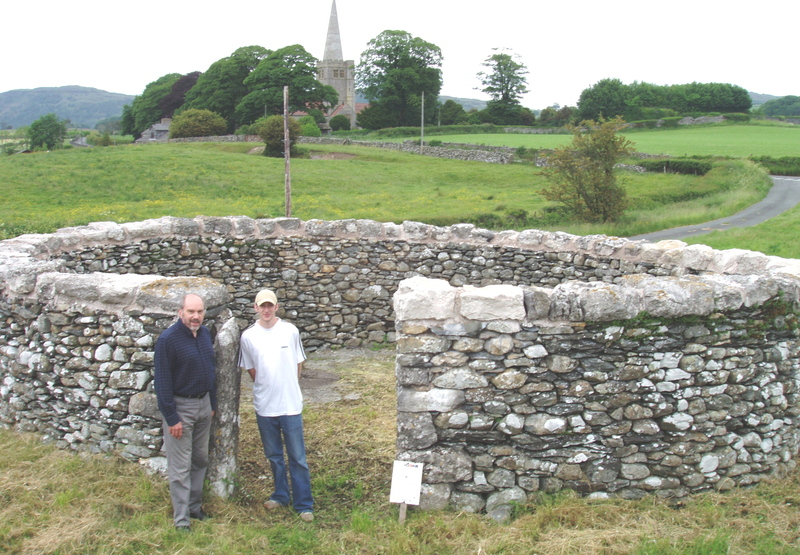 I wish to record the location and condition of ALL pounds and pinfolds that still exist in the UK either in a complete state or just a pile of stones or a single wall in an effort to raise awarenes of these structures and their role in rural life in past cenuries. I will also note any sites from which the structure has disappeared as this may help in any local research being carrid out. In compling the book on Cumbrian Pounds and Pinfolds and researching their history and use I have learned a lot about where to find historical references about their management and on a practical basis how to preserve and rebuild them. I am happy to share this experience if any reader is contemplating such a task. Please look at the National Register and the Register for Cumbria and if you spot any pounds and pinfolds not noted let me know about them with the location, condition and an image if possible. I will add them to the register and include your name against the entry if you wish. Or if you can add any detail to fill in the numerous blanks in the lists I would be pleased to hear from you.